Sesame seeds are one of the smallest seeds with the biggest flavor! They add a delicious nutty and crunchy taste to Asian and Indian dishes while also giving a creamy texture to other dishes. These seeds are small but might because they are extremely rich in many beneficial vitamins and minerals. Benefits: Sesame seeds are an excellent source of copper, which is known for reducing pain and swelling due to its role in anti-inflammatory and antioxidant enzyme systems. They are also good sources of manganese, magnesium, calcium, phosphorus, iron, zinc, molybdenum, and selenium which have been shown to help with colon cancer, bone health, migraines, asthma, and PMS. Sesame seeds also contain two lignan components, sesamin and sesamolin which have a cholesterol lowering affect in humans and protect the liver from oxidative damage. 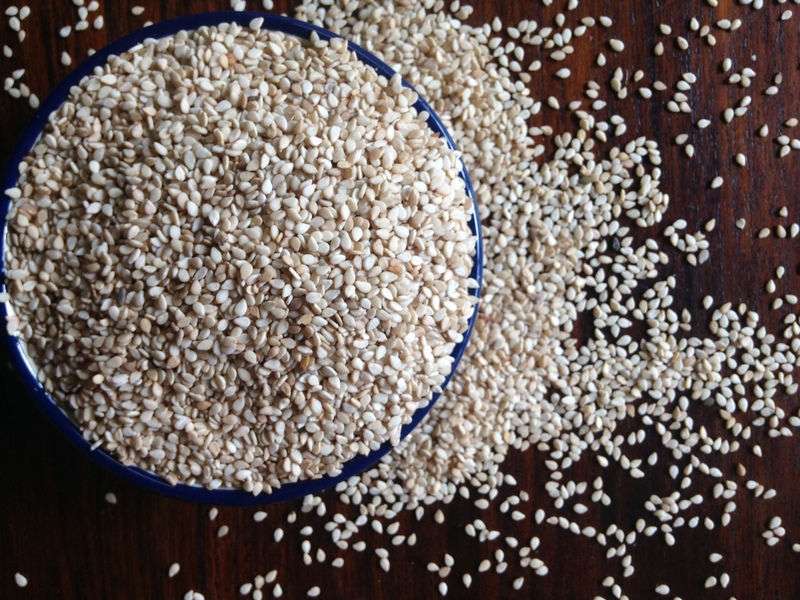 How To Use: One of the best ways to benefit from sesame seeds is by using tahini. Sesame seeds are so small, so by grinding them into a paste (tahini), you are able to get more of these nutritious little seeds. Tahini is used in hummus, makes an AMAZING dressing, and can be used in the same applications as peanut butter or almond butter. Sesame seeds are also amazing raw or toasted in salads or warm dishes, protein bars, healthy candies, and can also be made into a milk! **It’s best to store seeds in the fridge or freezer to keep them from going rancid, but fine to keep in the pantry if you will be using them within a month or two!